Pilot Miranda Marlowe is too sick to fly her plane, and she must face the truth: she's pregnant! She knows well enough that her boss, Cleve Finch, is still grieving for his late wife, so to think, she heads to her sister's new inheritance, Villa Rosa. Despite the spiders and dust, the Mediterranean palazzo is as gorgeous as ever. Until Cleve turns up with a dramatic offer: a convenient marriage as soon as it can be arranged! It may be the sensible answer…but is it enough for Miranda? A nice kick-off to the Summer at Villa Rosa series! The first sister whose story we dive into is Miranda Marlowe. The characters are interesting and the plot is diverse … I would have liked to see a little more development of their relationship once they decided to give it a go together, but the build up of the past was done well. Andie Marlow has been crushing on her boss since the day she turned 18 years old, but he’s still heartbroken over his wife’s death. 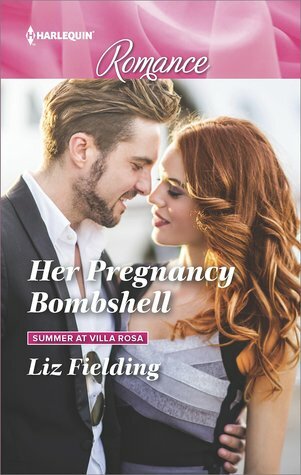 After an especially hard situation arose and she offered him the only comfort she could think to give, she finds out she’s pregnant and flees to her sister’s Mediterranean getaway. Cleve Finch doesn’t know why Miranda is cutting off ties, but he’s not going to let her go without an explanation! Once he finds out they are expecting a baby, he offers marriage. Can she bring herself to marry him when she knows she’ll never have his heart? And as their wedding day draws near, will the secrets Cleve has been hiding come to the surface?